This campaign ended on April 01, 2019, but you can still make a gift to Western Illinois University by clicking here! For your gift of $50, you will receive a shout-out on the "Anthropology at WIU" Facebook page! For your gift of $75, we will email you a hi-res crew photo from the 2017 Field School season! For your gift of $100, we will email you a hi-res crew photo from the 1970s Field School archives! For your gift of $150, our 2019 Field School students will send you a personalized video from the Orendorf site! For your gift of $250, our 2019 Field School students will send you a signed photo taken at the Orendorf site! You can provide a rare opportunity for our students! 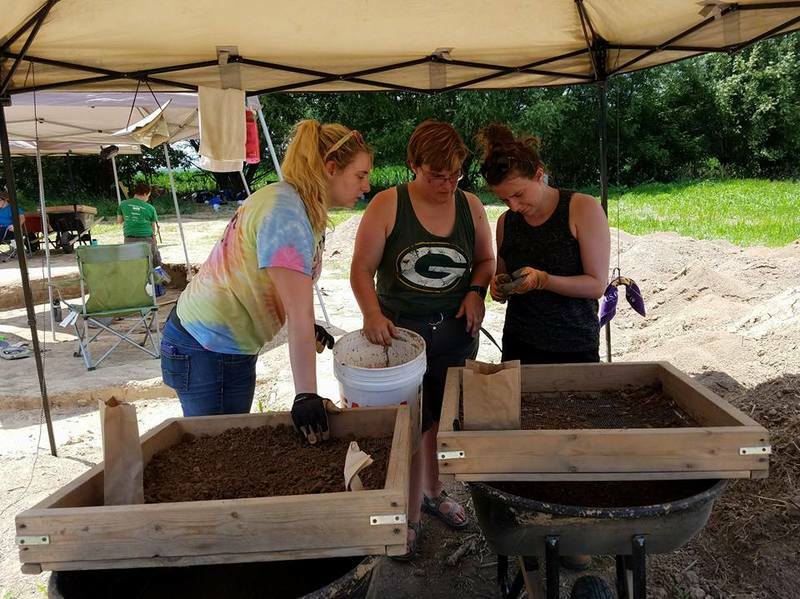 An amazing opportunity awaits Western Illinois University students when you help them attend the 2019 Archaeological Field School which will focus on excavations at the Orendorf and Rice Lake Terrace prehistorical archaeological sites along the Illinois River in Fulton County, Illinois. In the 2019 excavation season we will, for the first time have access to the previously untouched Orendorf Settlement B which is sure to expand our understanding of the sequence, duration and character of this settlement, relative to the others. Settlements C and D were decimated by fire and abandoned with an amazing variety of artifacts left behind. Whether Settlement B met the same fate will be a major question we answer...with your help! as we discover the past...today. 100% of your gift helps a Field School student enjoy and learn from this rare opportunity to to participate in the excavation of such an unusual, multi-component site.